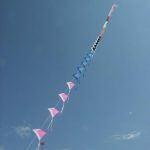 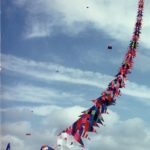 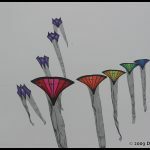 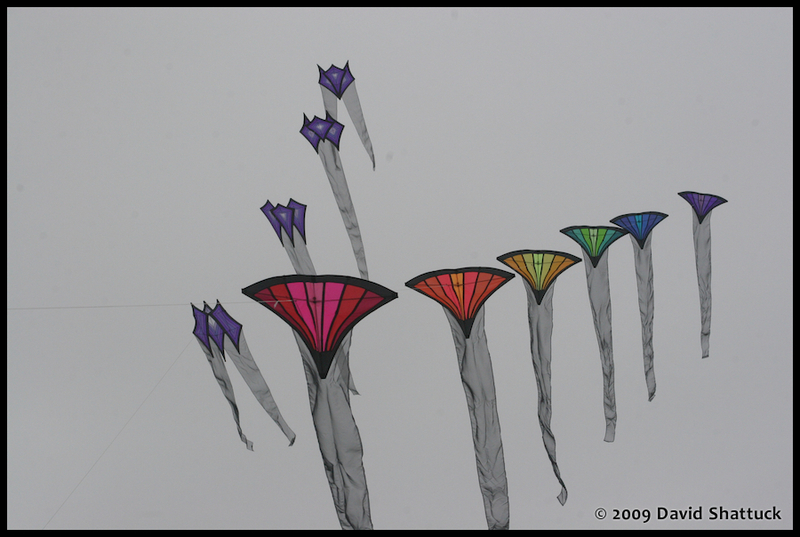 Just like boxcars on a train, any number of similar kites can be flown together, one behind the other, to form a train of kites. 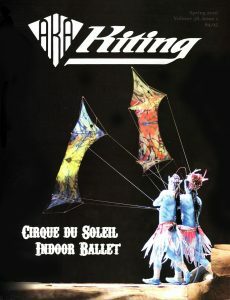 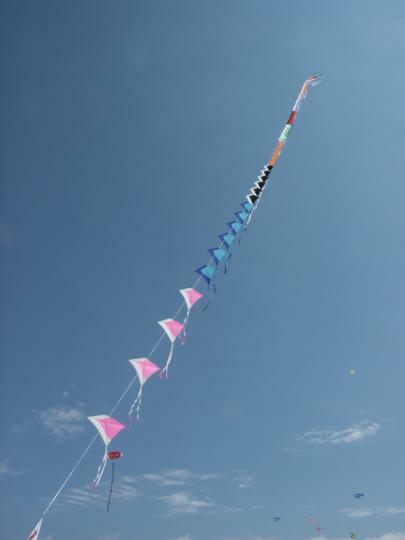 The common flying line connects one kite to the next. 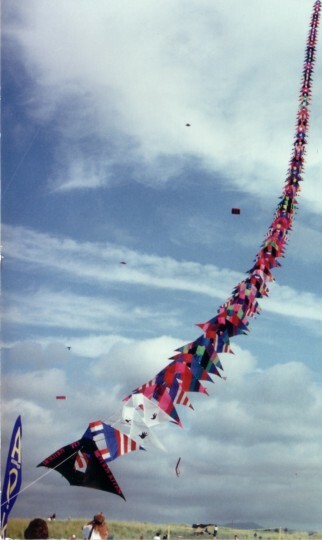 Trains can generate an enormous amount of pull since each kite adds a little bit to the pull of the group.